Boxtree Estate is a beautiful family farm located in the quiet hamlet of Merrijig in Victoria, a country town nestled between the alpine resort of Mt Buller and Mansfield, just 2.5 hours from Melbourne CBD or Tullamarine. 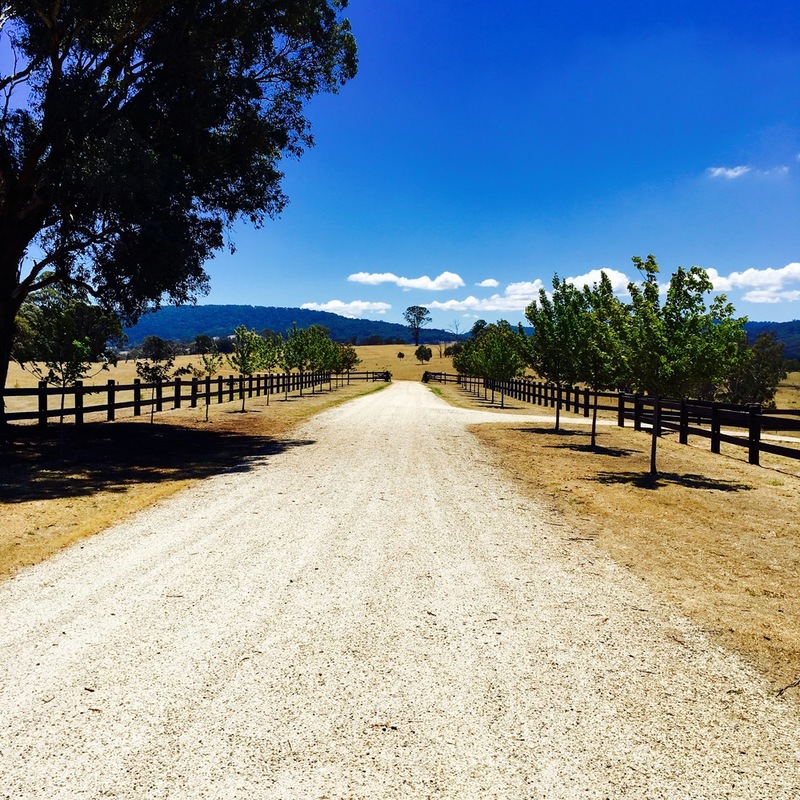 The property is a working farm on 130 acres and boasts 360 degree views of Mt Buller, to Timbertop and the high country valley offering unforgettable sunsets. The estate is perfect for a reception venue, whether it is an open setting under a boxtree or a marquee set upon the dressage ring. Helicopter landing is also available to arrive in unique style or whisk your guests away to view the countryside from above. Craig’s Hut is also a short trip for that special wedding photo. Boxtree itself has many options for photos including the high county valley, Mt Buller, shaded courtyard and an expansive timber fenced driveway. The property is a working farm so you can also have photos with the friendly horses and cows that graze our paddocks. The property has contemporary style accommodation providing comfort and functionality. The main house has 3 bedrooms, all with their own ensuite, a sitting room that converts to another bedroom, open plan kitchen dining and living area with fireplace. Each room has breathtaking views of the high country. There is a 60x20 dressage ring/arena enclosed by a white picket fence.